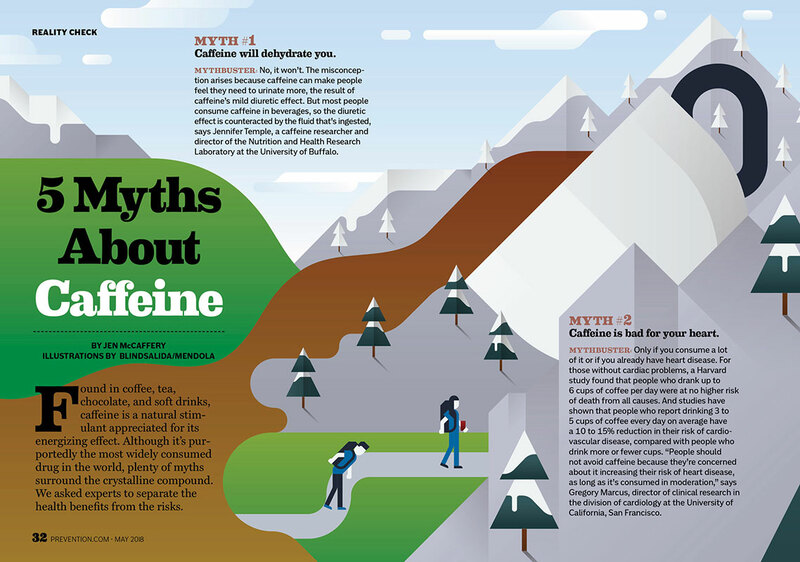 Blindsalida's illustrations were the perfect backdrop for Prevention Magazine's myth busting, double page feature on caffeine. 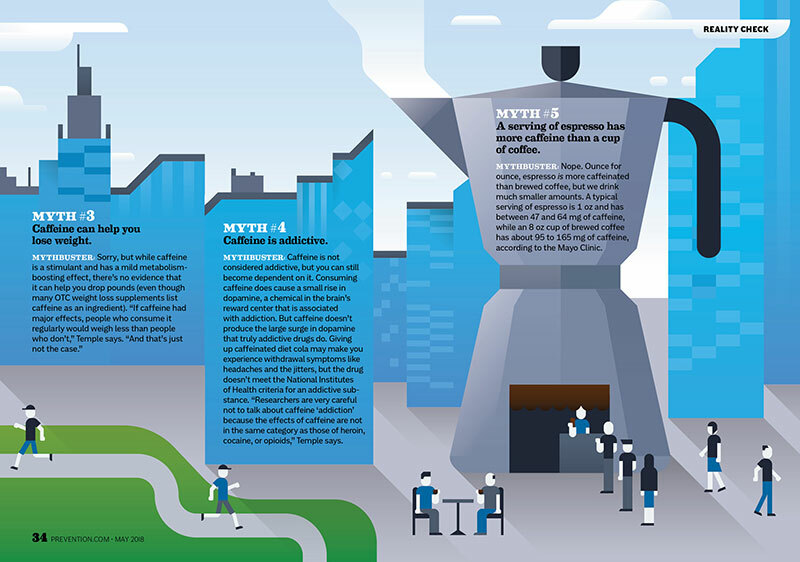 His graphic style and conceptual approach really brought the facts to life. To see more of Blindslida's work, click here. Blindsalida is represented by Meiklejohn. Published on 15 November 2018.